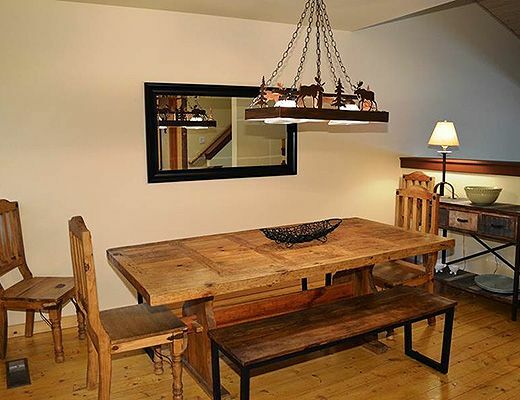 This 3-bedroom plus den/3-bath condominium features a full kitchen, dining room, large living room with wood burning fireplace, as well as the basement for extra living and sleeping space. 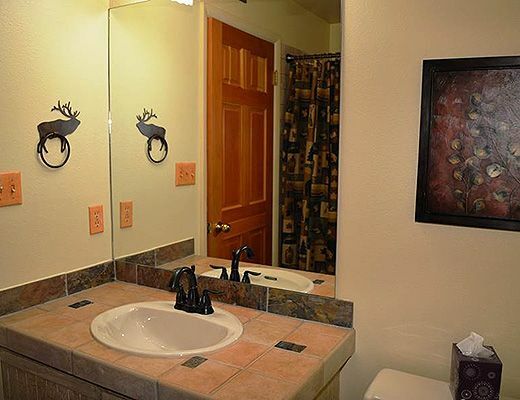 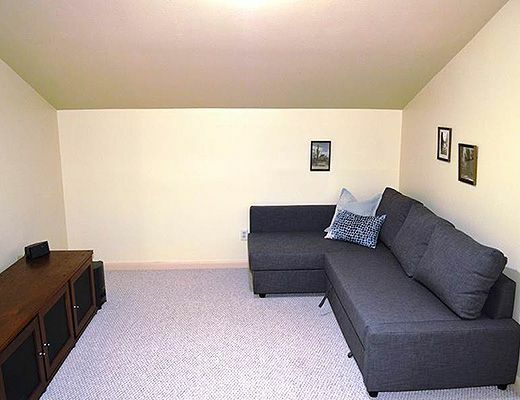 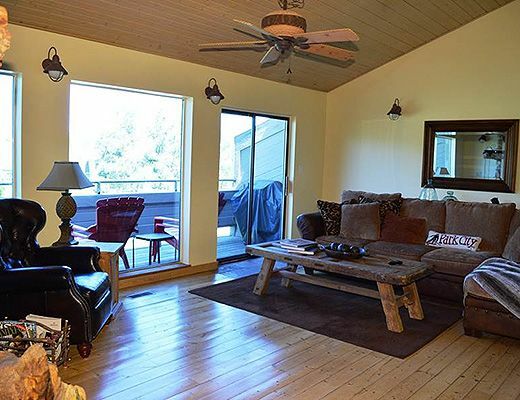 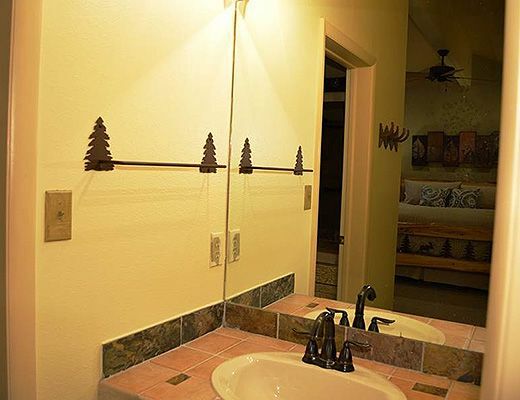 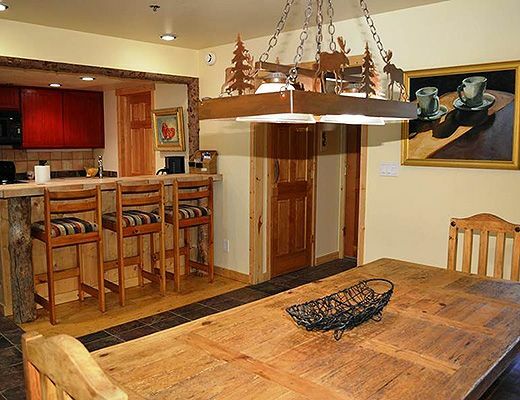 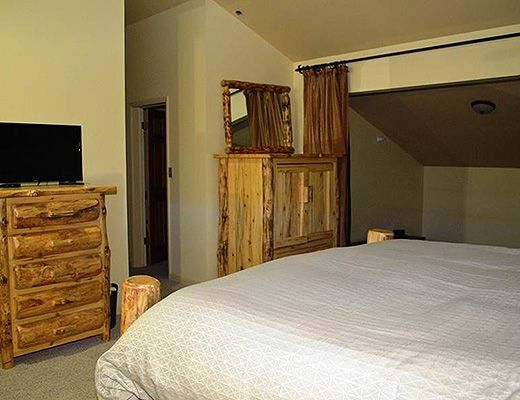 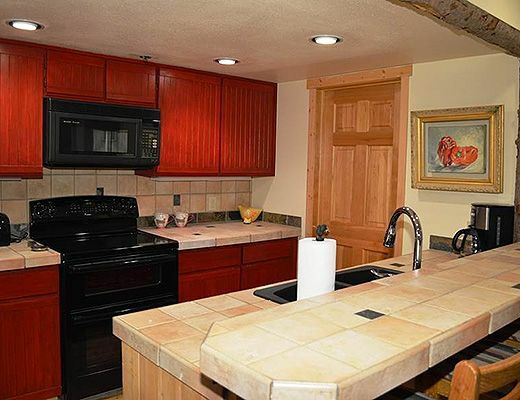 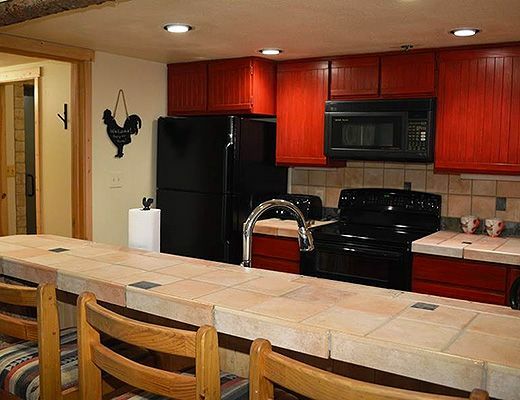 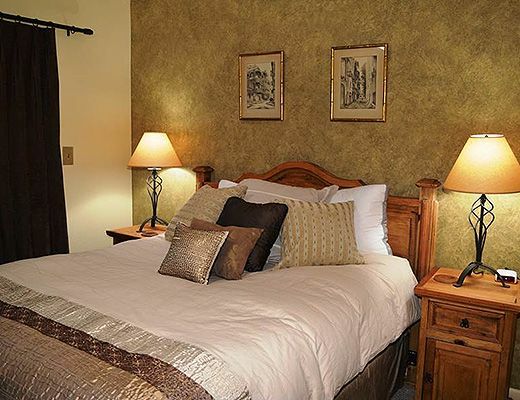 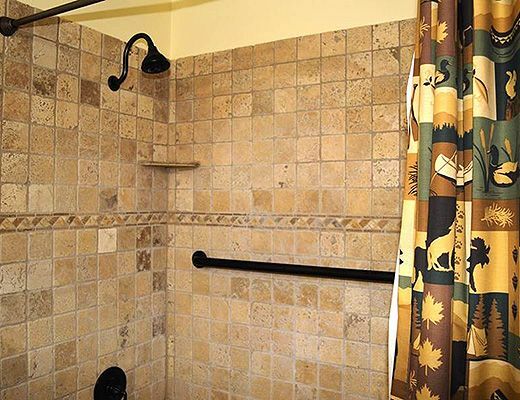 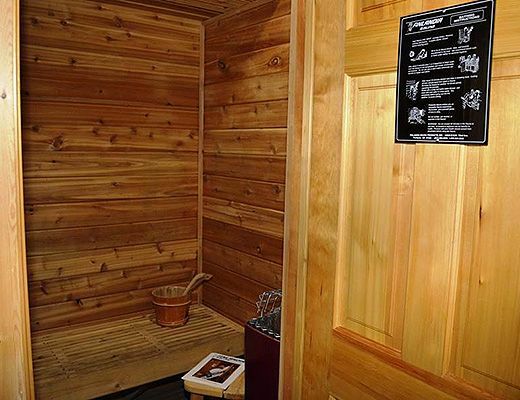 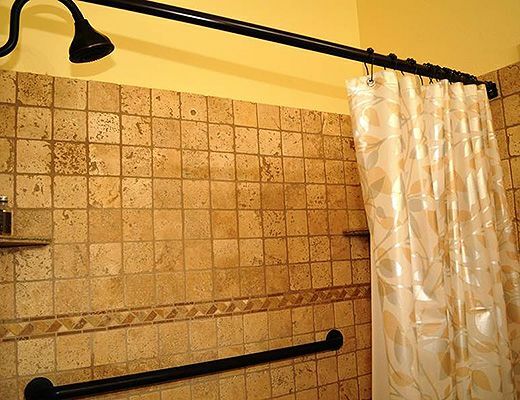 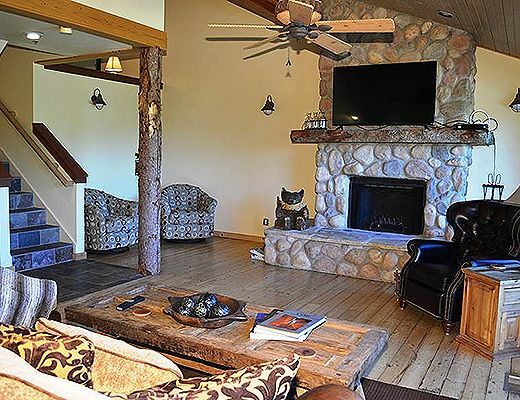 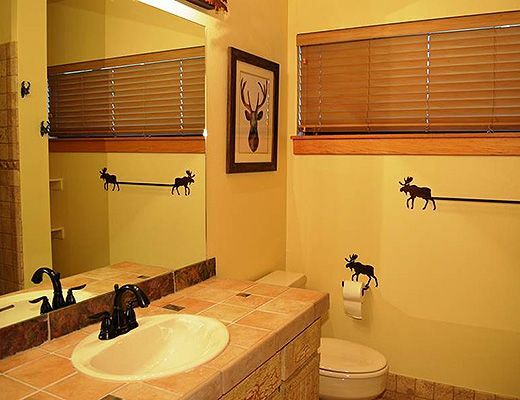 Additional amenities include a sauna, washer/dryer, wireless internet access and garage. 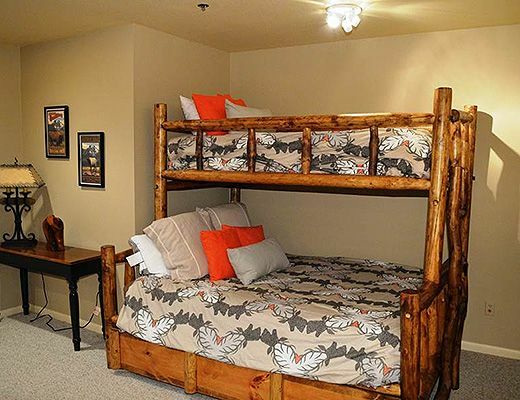 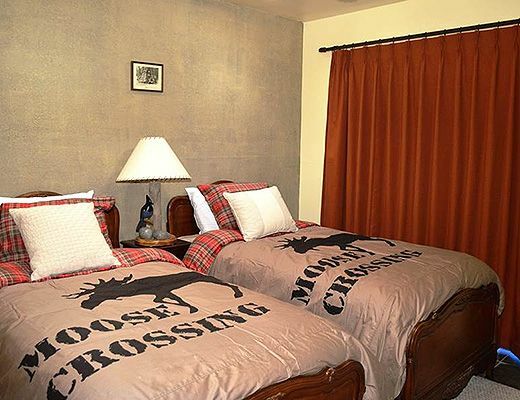 Bedding includes a king in the first bedroom, queen in the second bedroom, 2 twins in the third bedroom, and a captain bunk bed in the den, which has a twin on top and queen on bottom. 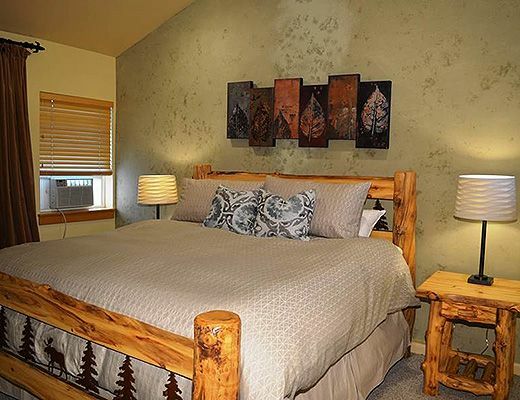 This unit comes equipped with a queen sized Easy Bed, a self-inflating elevated bed with bedding. 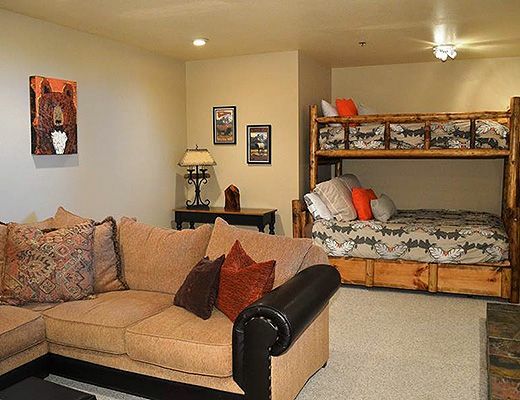 The unit provides accommodations and sleeping space for up to 11 people. 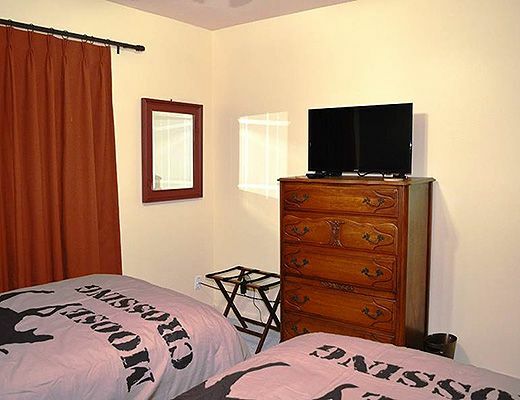 For our summer guests, this unit is not fully air-conditioned, but the master bedroom has a window A/C unit. 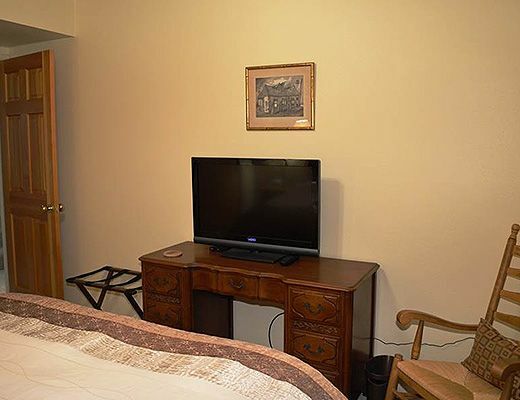 Fans have been provided for your comfort throughout the unit.